Merry Christmas everyone and a Happy New Year!! 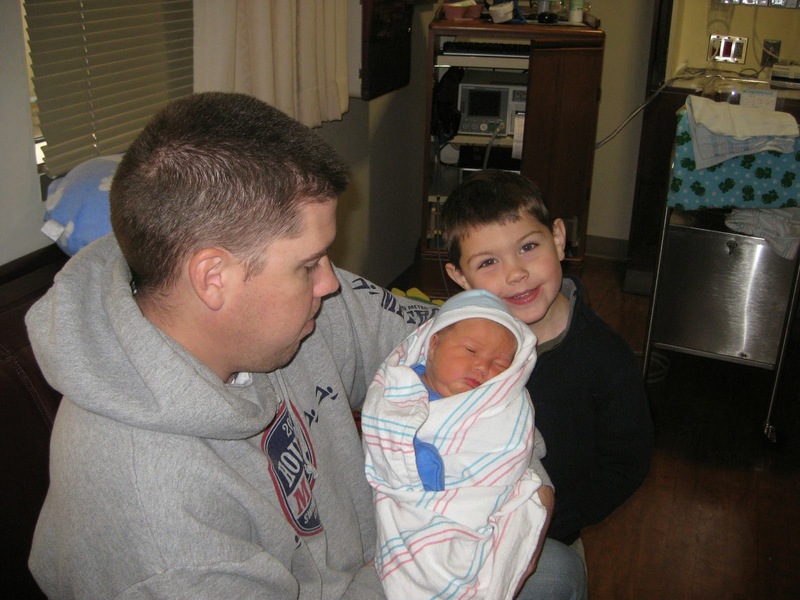 Our year has been eventful, just before the New Year began we had our little Brandon, he was born on December 31, 2009. Then while we were in the hospital with him our oldest son Morgan had his birthday and he turned 4. So now since we are almost at the end of the year they are almost 1 and 5. Time has flown by. So news about the family, I stay at home with the boys full time and love it. My time is spent trotting Morgan of to his Pre-K school 2 days a week, Morgan’s extra activities, play groups, and grocery shopping. Brandon so far gets to tag along with us. I am very much into scrapbooking as you can see from this blog. I am a design team member for a couple of on-line scrapbook groups and I also teach scrapbook classes. Mike has been great to in letting me indulge my hobby so far, but the good news is that my classes that I teach pay for my hobby!! It has also become my therapeutic outlet, a way for me to calm and center myself, plus a way for me to see pictures of all three of my beautiful children. Mike is busy working with the Texas National Guard full time. He just made the rank of Captain a couple weeks ago. We are hoping that he can stay working with the National Guard, but with the budget cuts and the State of Texas spending less on military we are working contract to contract, and for us that is a month to month worry if he will still have a job. He loves what he does and it is a great career for him, we just hope that money can be found to pay for him to stay there. Morgan is getting so big. We compared his height to Mike’s height at the same age and Morgan is 6 inches taller, it will be great when he gets older he can reach all the stuff that is just out of my reach in the kitchen! He loves his school, he goes 2 days a week, and once a week he went to a sports class that taught him all the basics for 8 sports like tennis, golf, soccer, baseball, and basketball just to name a few. Morgan is so full of energy, I wish I had just a little of it, and loves to play with other kids. He is very outgoing and loves to talk with people, even perfect strangers. His favorite things right now are anything to do with bugs, dragons, dinosaurs, dragons, movies, dragons, and did I mention dragons!! Needless to say this is the dragon Christmas and birthday. He is so excited that he is turning 5, because next school year he gets to go to kindergarten and with the school (the public school walking distance from the house). Brandon is growing like a weed. He is a great baby. He loves to watch and now try and do everything big brother does, mostly to Morgan’s chagrin. I am getting lots of “mom he is touching my stuff”. Brandon is almost walking; he has taken his first few steps, but if it is to far then he just plops down and crawls to his destination. His newest feat is he is starting to try and climb down the stairs, couches, and beds. He almost can do it by himself. He also just cut his third tooth, and the fourth is minutes away from coming in too. Our family is holding up the best it can. 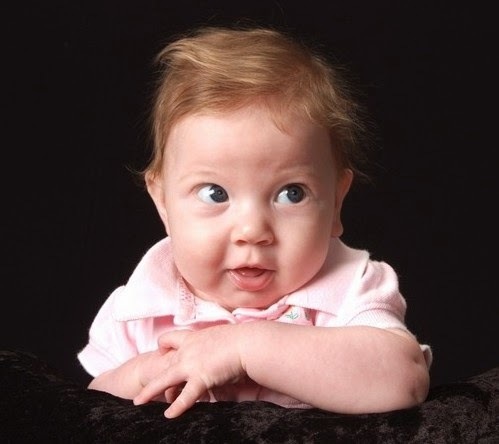 It has its moments of hardship, as this upcoming march will be 2 years since our precious baby Kristen passed away. Not a moment of the day goes by where I do not wish she is running around with her brothers. I hope everyone had a great 2010 and I hope to see as many of you as we can in 2011!! Best wishes, the Reed Family. I had a great turn out for my first blog hop and blog contest!! There were some great layouts and comments. But as with any contest it has to end and we have a winnner...........what everyone wants to know anyway, lol. Thank you everyone for playing!! It seems fitting that the person with most entries and the most layouts (therefore the most possibilities of winning) was the name that was drawn!! So the winner is Betty Anne Orr!! Congrats!! I am using this layout for a few things, but mostly it is one of my boys (my little girl is the butterfly in the bottom left) for this Christmas. Christmas to me means family. That I can spent time with my family, is very special to me as I know all to easy how not having you loved ones around for the holidays is painful. So this layout is in tribute to my children, all three of them. I found this tutorial a long time ago to make little flower blooms out of old flowers and flowers cut from paper, but then I thought what about with silk, using the same technique. So here is my silk flower blooms tutorial. Sorry the pictures are so grainy, I will try and retake them soon. - silk flowers, I used 3-4 for my flowers, you could use 5, but need at least 3. 1) Place a little glue in the middle of one of the flowers, I let it cool off before I touched it. I then pinched up the base the petals to give it a squished look. 3). Place glue on the middle of another flower and nest the first cut flower int he middle of the second. 4) Repeat the pinching of the base of the flower and cutting the base off like you did for the first flower. The place glue in the middle of the 3rd flower and nest the combined 1st and 2nd pinched set of flowers into the 3rd (in the middle). You can stop here and have a complete flower, or you can do more layers for a fuller flower. It all depends on the flower you use and the effect you want for how many flowers you layer. Complete Layout with the flowers. All the flower on here were done using this technique. The red flowers are a combination of silk and old prima ones I found in my stash. Enjoy and hope you have fun making these!! Swirlydoo is doing a tag contest, and this is the one I made for the second day, monochrome green. December's PPP is a gorgeous mix of holiday products and traditional colors! Just look at the fun ornaments, sparkling vines and fluttering butterflies. Any of these products will add glamor to your products.